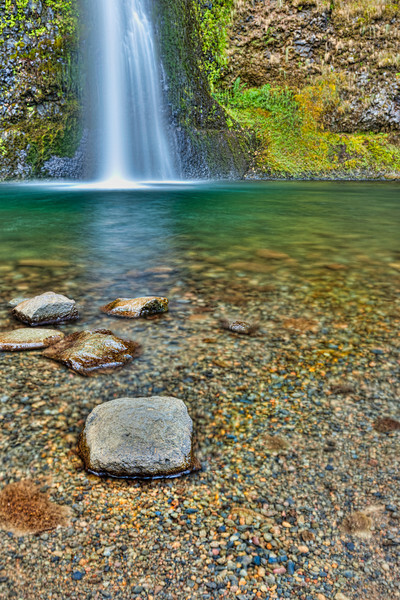 Horsetail Falls Pool in Summer. How Do You Photograph a Subject that has been Photographed 100's of Times Before? Try Not Making it the Subject... Columbia River Gorge, Oregon.